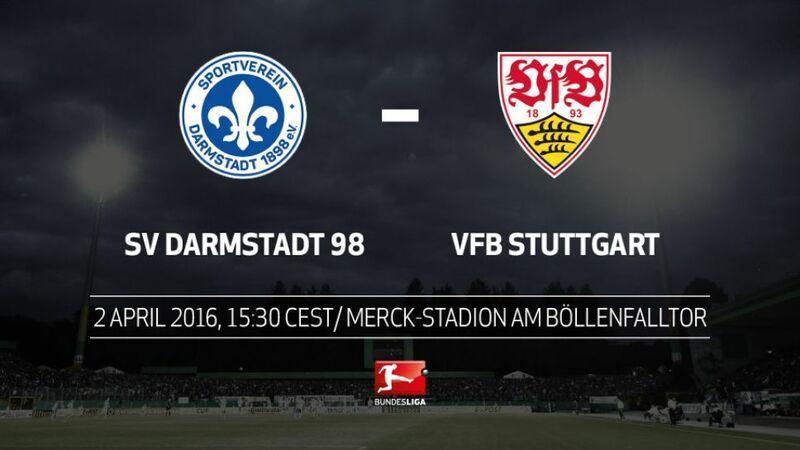 Contrasting styles will be on display when SV Darmstadt 98 welcome VfB Stuttgart to the Merck-Stadion am Böllenfalltor on Saturday (kick-off 15:30CEST/13:30GMT), with both teams needing maximum points to pull clear of the relegation zone. Darmstadt typically adopt a safety-first approach, preferring to sit deep and catch opponents out on the counter-attack. It has brought them some success this season - such as the 1-1 draw away to VfL Wolfsburg on Matchday 27 - but it has not been as effective at home, where they have won just once all term. Now just one point above 17th place, the hosts need a change of fortunes if they are to stay in the Bundesliga next season. Stuttgart are only marginally better off in 11th place, but have improved greatly since Jürgen Kramny took over as head coach at the end of November 2015. With an emphasis on pressing early and getting forward at every opportunity, the Swabians have hit 43 goals so far in 2015/16, a tally bettered by only four other teams. Darmstadt are currently on a run of seven games without a victory - their longest winless streak this season.History is on Stuttgart's side: VfB have never lost to Darmstadt in the Bundesliga, winning four and drawing one of their five top-flight meetings.Sandro Wagner has scored eight of Darmstadt's last 12 goals, and now has 11 for the season - his most prolific campaign ever.The Lilies have failed to win any of their last nine home matches. Indeed, their only triumph at the Merck-Stadion am Böllenfalltor this term was against SV Werder Bremen on Matchday 6.Stuttgart boss Kramny and his Darmstadt counterpart Dirk Schuster completed their coaching badges together in 2007 - with Schuster finishing top of the class.